A State is authorized to require a remote seller to collect sales and use taxes under this Act only if the remote seller has gross annual receipts in total remote sales in the United States in the preceding calendar year exceeding $1,000,000. If your business has a physical presence in a state and sells to customers located throughout that state, you will be required to collect that state's sales tax on all taxable services and goods regardless of whether the customer comes to your location or you ship the goods to them. However, if you sell to customers that are located in another state and you ship the goods or provide a service to them, you are not required to charge them a tax. As your business starts expanding and you start selling to multiple states within the United States or to other countries such as the European Union, this is where things get complicated because you have to collect sales tax or VAT (Value Added Tax) from all your customers which differ from state-to-state and country-to-country. Handling taxes and keeping up-to-date with them is very hard, that’s why we provide a tax API and the sales tax calculation feature directly in the checkout. 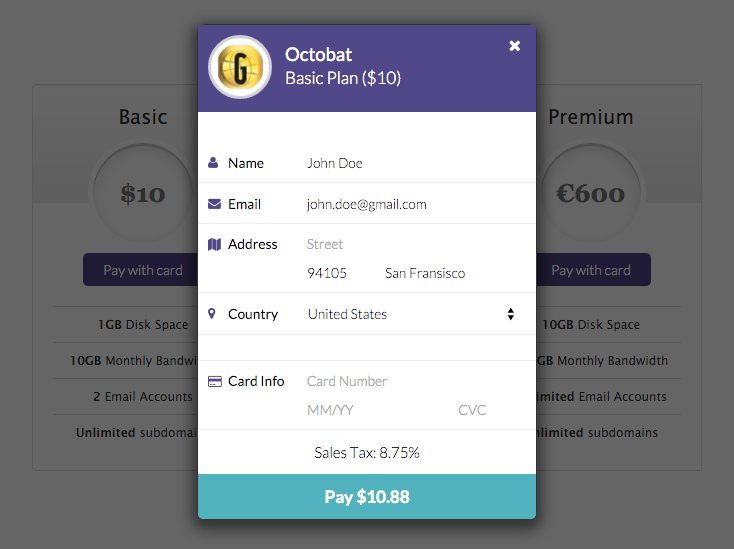 How does Octobat handle your case? 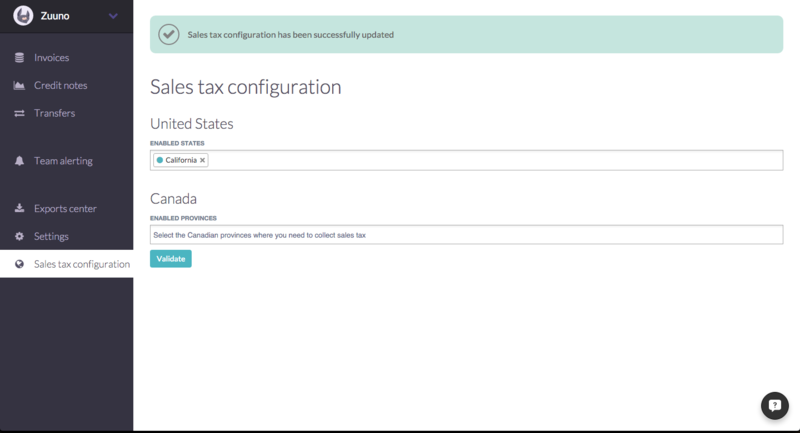 US & Canadian sales tax are available on all Octobat accounts that are set to United States or Canada under "sales tax configuration". This interface allows you to add each Nexus that you have. Thanks to this setting, your <checkout /> can apply the right sales taxes to the transaction. Then, US or Canadian sales tax will be applied to new invoices whose billing address is in the selected regions. If you’d like to talk to us about it, we’d love to hear from you: nicolas@octobat.com.